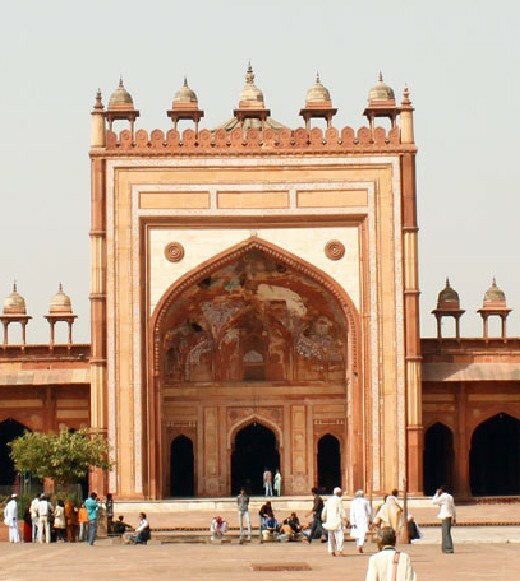 "The 60 feet high Rumi Gate was constructed during the reign of Nawab Asaf-ud-Daula in 1784-86." 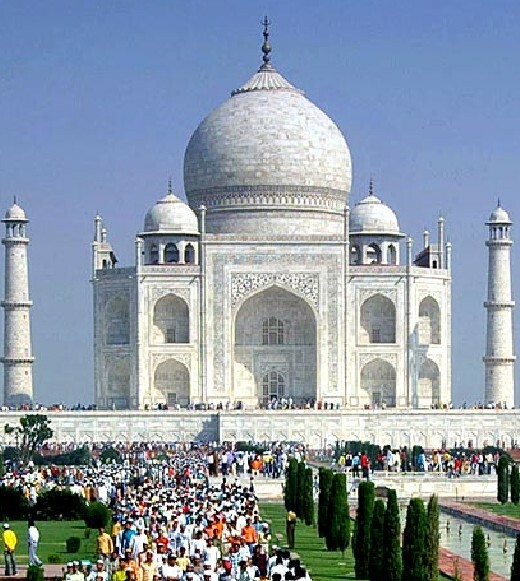 It is said to be identical in design to an ancient portal at Constantinople in Turkey and is also referred to as Turkish Gate. 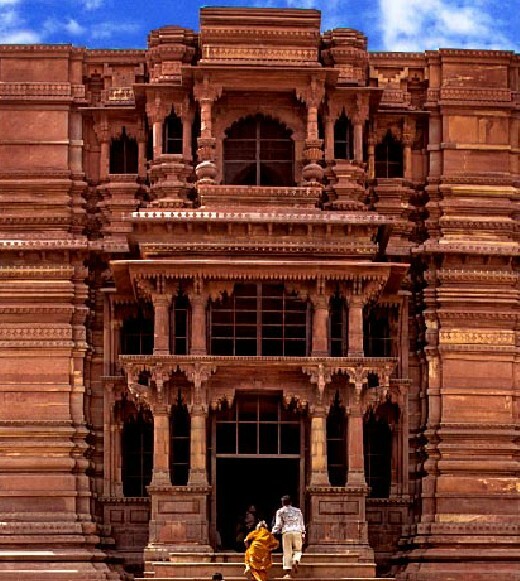 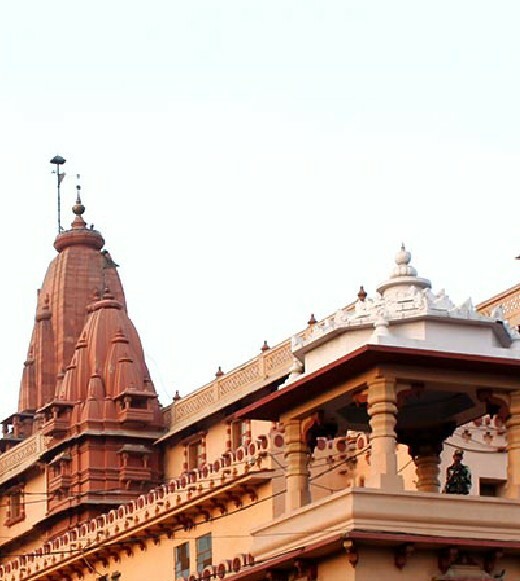 It is a huge ornate structure, marked by an eight faceted chhatri in its uppermost part. 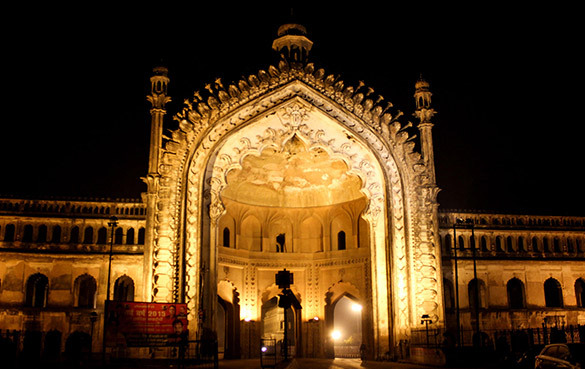 In earlier times it was used to mark the entrance to the Old Lucknow City. 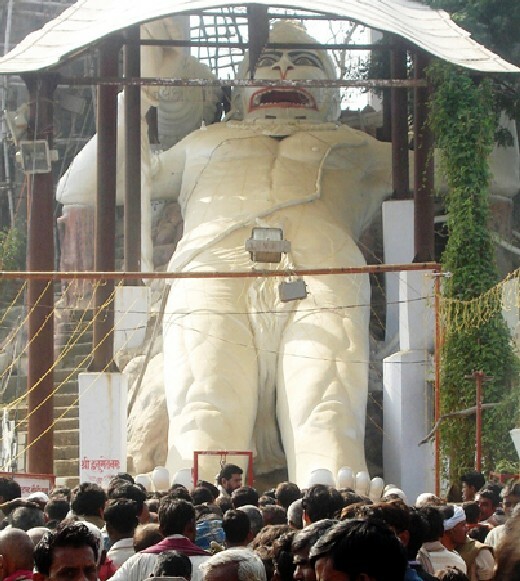 It is now adopted as a symbol of the city of Lucknow. 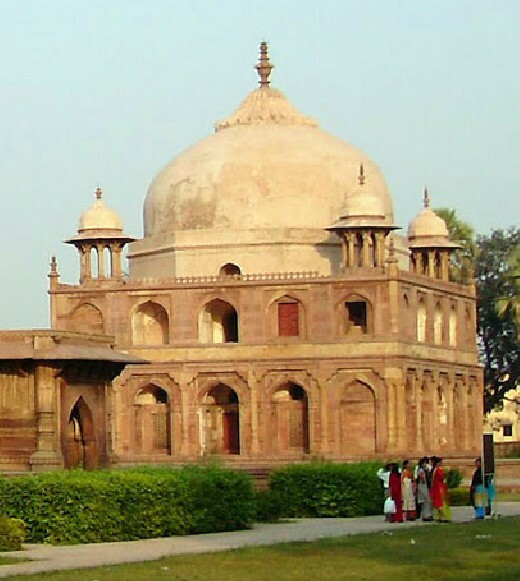 It was built by Nawab Asaf-ud-Daula to generate employment during the famine of 1784.